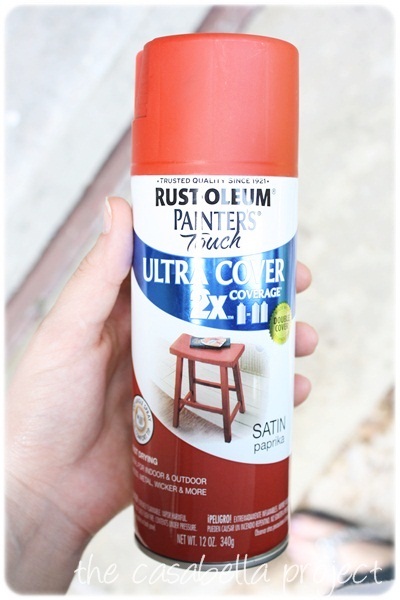 This makeover by Myra, the design blogger at The Casabella Project, proves that $2 yard sale lamp can become an awesome addition to your decor. 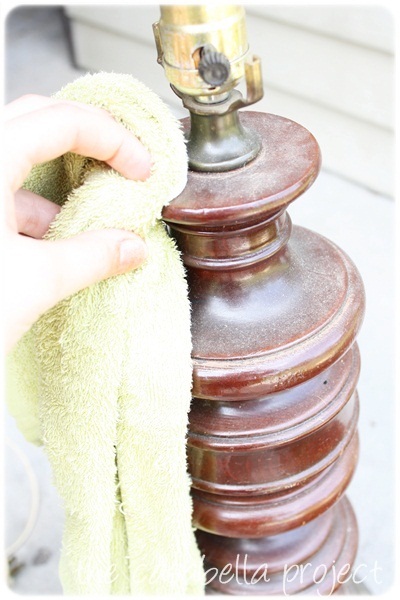 The lamp was sanded and spray painted with interesting finishing technique. 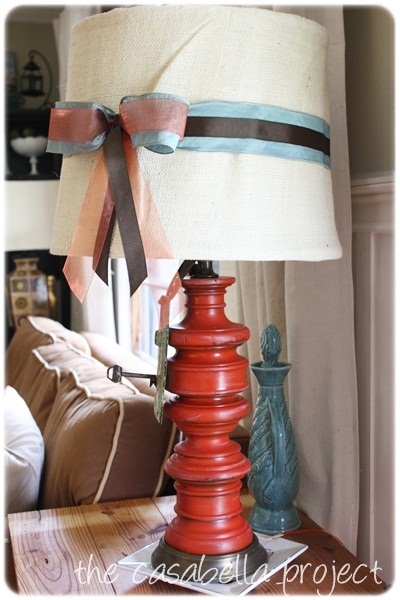 The lamp shade was made of a $2 drum shade from a thrift shop covered with burlap and ribbon. 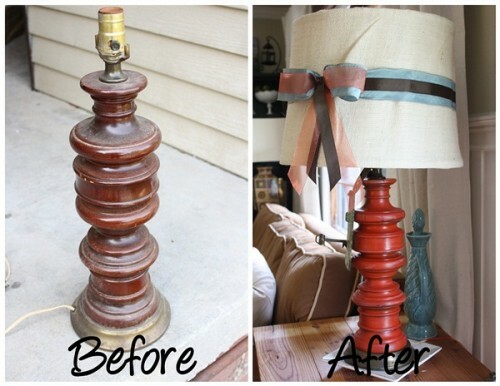 Now the lamp is a beautiful addition to hers living room.